This delicate Book folding card is made from a matt finish off-white metallic board. The front of the card has a delicate pearlescent filling ink that lets the material of the card shine through in reverse. 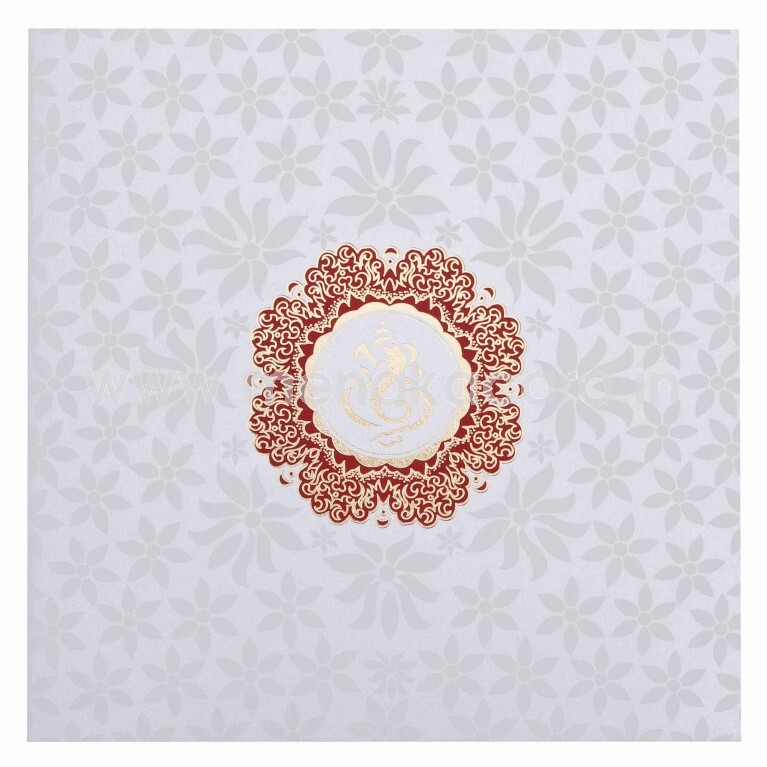 The centre of the card contains an ornate floral frame with gold ink and foil work outlining it and content in contrasting ink. 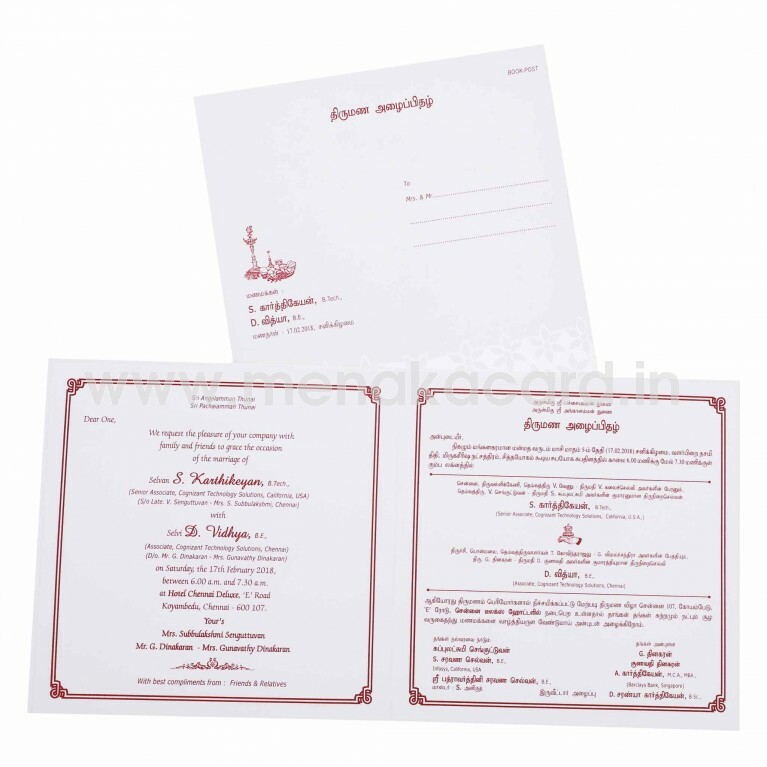 The off-white insert sheets are stuck to the centre and are framed in a traditional ornate border and contrasting maroon text. 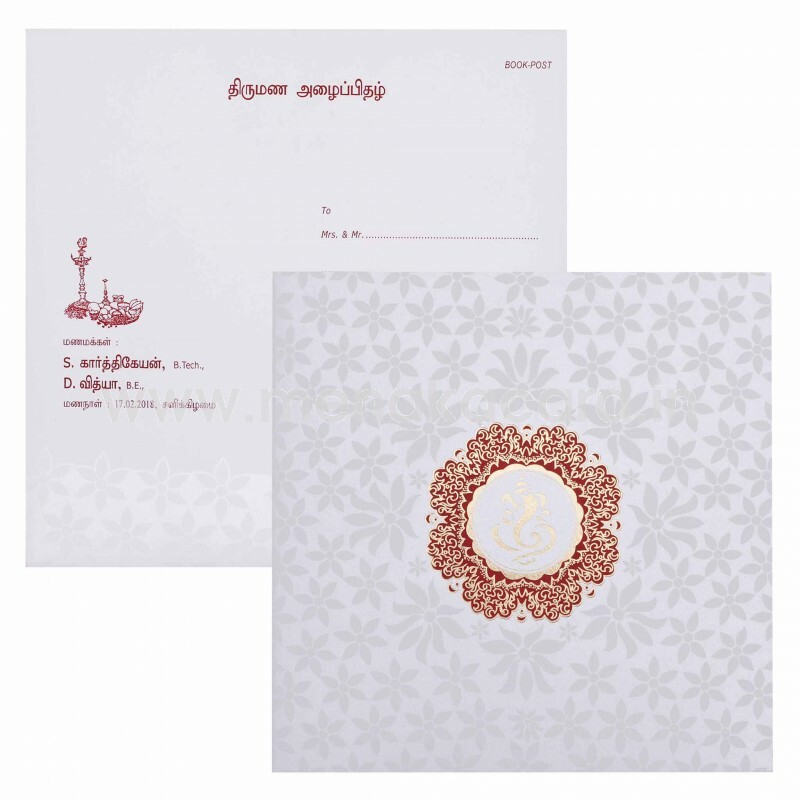 The envelope reflects the delicate pearlescent floral pattern on the bottom. 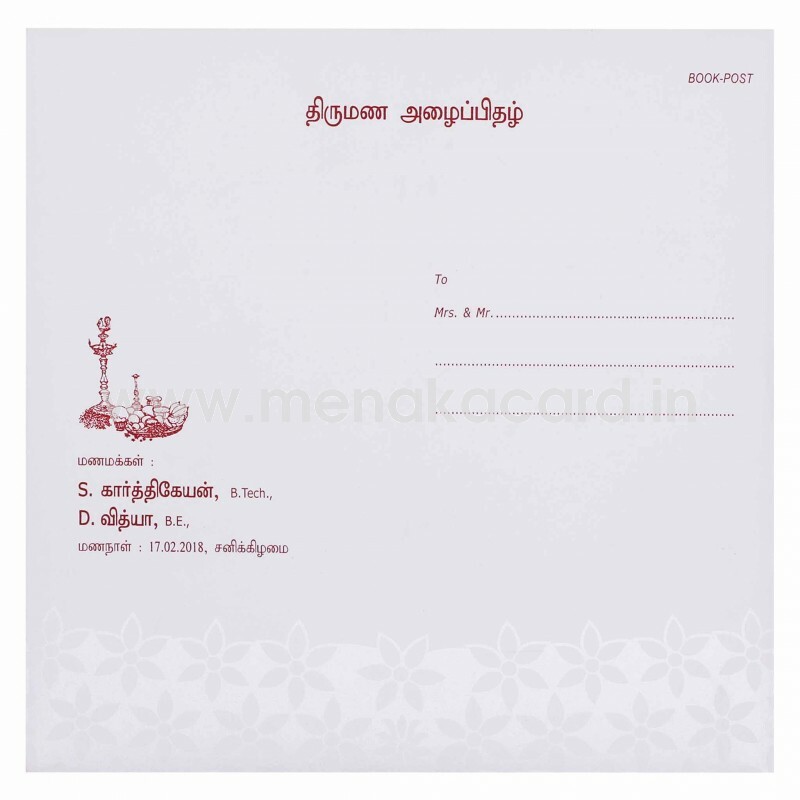 This can be used for Christian weddings, receptions and engagements as well as Hindu and Muslim weddings as well as personal invitations to friends and family.